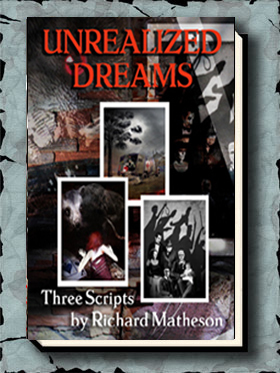 UNREALIZED DREAMS is three screenplays by Richard Matheson which he is quite fond of but were not produced for a variety of reasons. The second script (a first draft with handwritten changes on each page), “Appointment in Zahrain”, was expressly written for Clark Gable. The actor became ill on the set of the film he was working on prior to Zahrain and soon passed away. The third script has all of the actors from Matheson’s acclaimed “Comedy of Terrors” returning to play other parts in another horror/comedy. 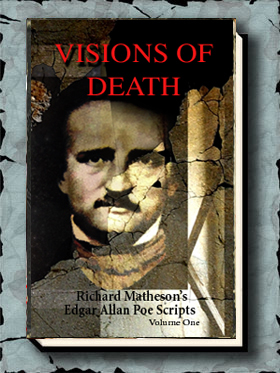 As Matheson mentions in his introduction to UNREALIZED DREAMS, after he completed the script, the actors began passing away one by one, with Vincent Price being the last. The book is edited by Dennis Etchison. 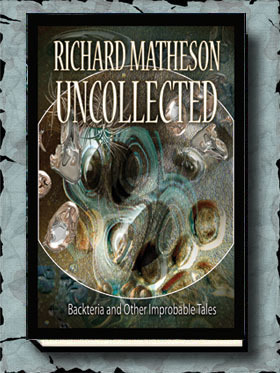 Etchison’s short stories have appeared in numerous magazines and anthologies since 1961, and in several collections. He is also an editor (Cutting Edge, MetaHorror, Masters of Darkness, The Museum of Horrors), novelist (Darkside, California Gothic, Double Edge), screenwriter and the winner of five British Fantasy and World Fantasy Awards. He will be signing the book, along with Matheson. The scripts are reproduced in an oversized 8 1/2 x 11 format just as Matheson typed them (including all handwritten changes).